Hey guys! So I'm doing something that I try to avoid if at all possible. 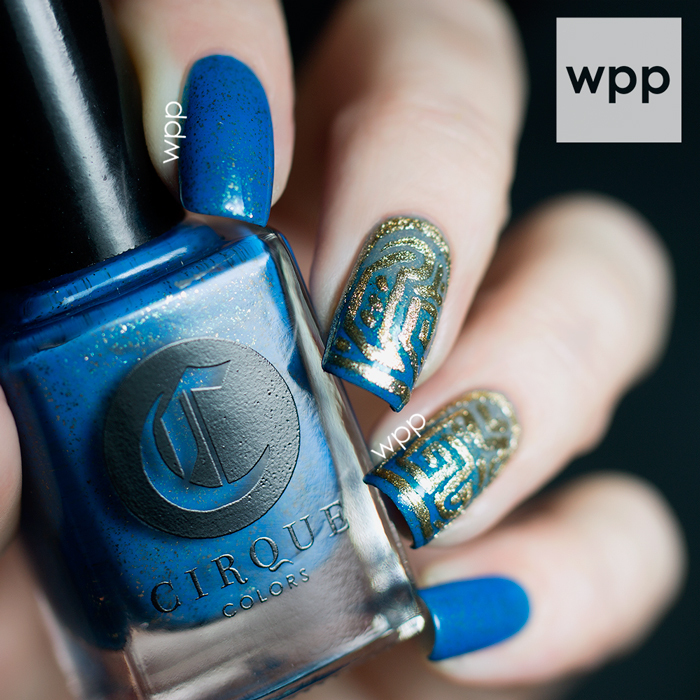 The Cirque Colors polish I used in today's nail art is limited edition and sold out. Eeeeck. 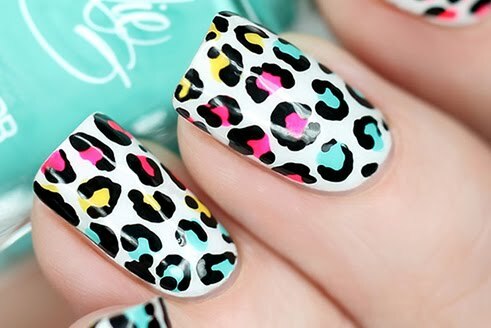 But I love it and I think it would look cool in a bunch of color combos. 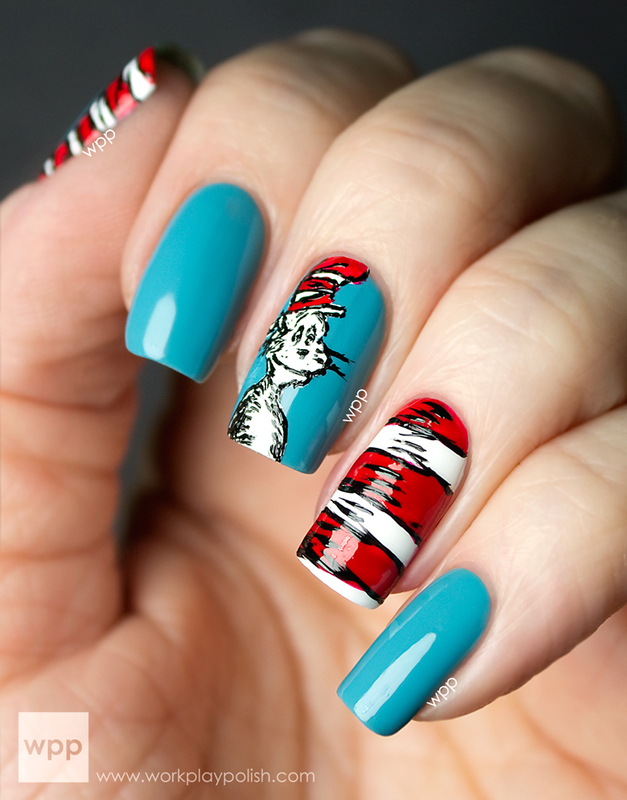 The two polishes are from the recent Cirque Awakening Collection. Four of the five shades in this bunch have teeny metallic flakies. 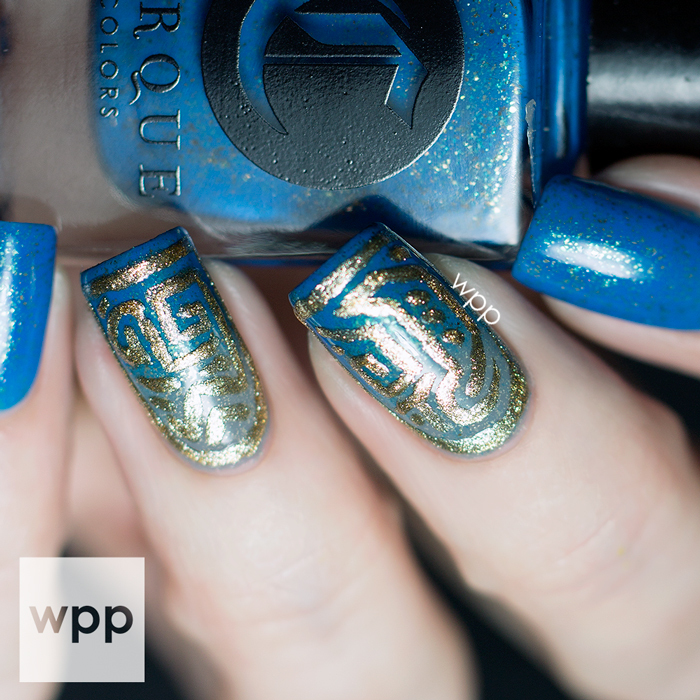 Qi is a gorgeous cerulean blue with a golden shimmer. This blue is amazing and unique. The second shade in the gradient nails is New Moon, a beautiful concrete gray with the same shimmer. I should have taken a pic with just the gradient because it was really striking on its own. I wanted to create something to highlight the golden sheen of the polish. 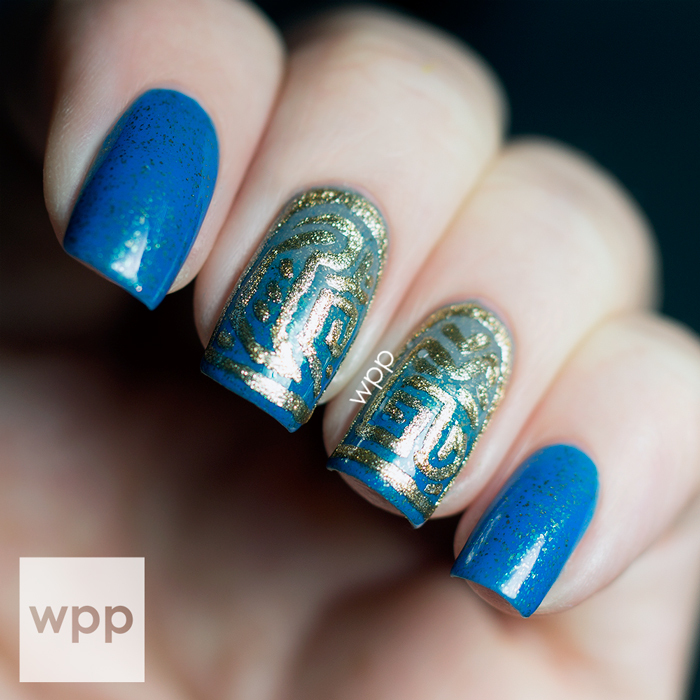 The designs were inspired by Aztec line drawings and freehanded with my all-time favorite metallic gold, Sally Hansen Hard as Nails Xtreme Wear Golden-I. I didn't have a plan. I wanted to keep it a little "raw", so I didn't go for perfect...just tried not to let the lines touch. True to Cirque form, the formula was perfect. I'm so sorry I didn't get these up sooner. This set was caught up in the blog migration. You can check them all out here. The summer release, called the Juicy Collection, is available for pre-order now and will launch on 15 May. Cirque Colors retail for $13 each at cirquecolors.com and at select stockists. Follow Cirque on Facebook, Twitter, and Instagram for the latest scoop.